1) Do BABY SKATES come with a warranty? – Each pair comes with our legendary (12 Month) in writing Warranty. We cover everything from blade to boot. 2) What happens if I order the wrong size? – No problem at all, they can be exchanged or returned as long as they have not been worn outside or on the ice. We encourage checking fit and comfort. If BABY SKATES are worn outside or on the ice, they are then classified as USED. 3) Do you refund shipping costs on exchanges or returns? – The customer would need to pay for all shipping and handling fees, shipping fees will not be reimbursed. 4) What if purchasing for a special gift date down the road? – No problem at all! If you purchase them to give as a gift on a later date we will work with you if a problem would arise. 5) Be sure to check for fit and size before going out on the ice or outside? 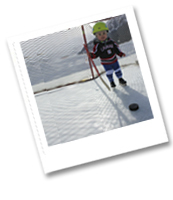 – If BABY SKATES are worn outside or out on the ice we classify them as USED at that point. We can not return or exchange USED BABY SKATES. Our goal is to provide all of our customers with new product. 6) What if I have a question about a return or exchange? – Please contacts us at 330-491-1976 or email us at information@babyskates.com we are always here to help you out! We make returns and exchanges easy and happy! 7) What is the mailing address for exchanges or returns? – Here is our complete mailing address. (See below). 8) Important things to know about sending back BABY SKATES for a return or exchange? – (See outline below). Make sure that they are packaged well. Insure your package; if package becomes lost or damaged we would be stuck. Include all original purchase information; if you need help with this let us know. Include a good contact phone number and email address. If exchanging for another size or style please include exchange information in your package. 9) If you need help or have questions please contact us? – Contact us via phone at 330-491-1976 or email us at information@babyskates.com we are always here to help. 10) Important exchange and return information? 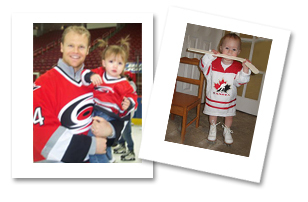 – Always try your BABY SKATES on and check for fit, prior to wearing them outside or on the ice. If BABY SKATES are worn outside or on the ice, they are then classified as USED. 11) How to help for a speedy return of exchange? 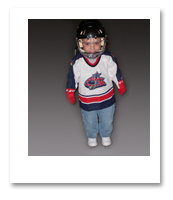 – Contact us at information@babyskates.com or call us at 330-491-1976. We can also confirm inventory and shipping times.